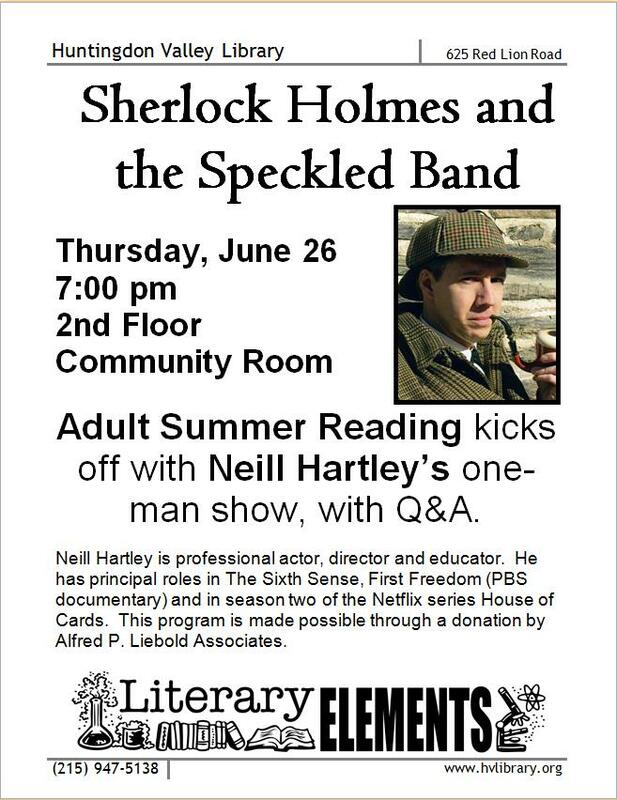 Neill Hartley launches the Adult Summer Reading Program with a one-man performance of “Sherlock Holmes and the Speckled Band” at the Huntingdon Valley Library on Thursday, June 26 at 7 pm in the 2nd Floor Community Room. This program is free, open to the public and made possible through a donation by Alfred P. Liebold Associates. 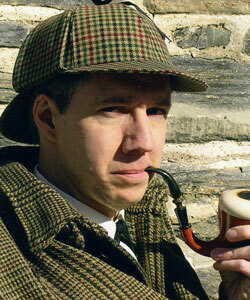 Neill Hartley is a professional actor, director and educator. He has principal roles in The Sixth Sense, First Freedom (PBS documentary) and in two upcoming episodes of the Netflix series House of Cards. Neill is also an assistant professor of voice and speech at The University of the Arts in Philadelphia, and has acted as a speech/dialect coach for several professional theater productions. He holds an MFA in Acting from Temple University. “Literary Elements” is the theme of Huntingdon Valley Library’s 2014 Adult Summer Reading Program combining science and literature in a variety of programs sure to pique your interest. Registration begins online June 23.